To promote the continuing professional development of teachers and all other relevant educational partners within the West Cork area by providing strategic leadership and direction in line with approved Department of Education and Skills policies and practices with regard to the continuum of learning in education. To provide professional development and support for Teachers, School Management, Special Needs Assistants, Parents, Boards of Management and other relevant partners. To be involved in a range of projects, programmes and initiatives as required. To develop projects and programmes as identified nationally, regionally or locally. A resource and meeting centre for the local school community. To actively promote its role in regard to major functions. To develop and share expertise in key areas. To engage with other Education Centres and relevant bodies and organisations. 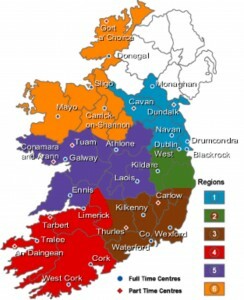 1.1 The Centre shall be known as Ionad Oideachais Iarthar Chorcaí or The West Cork Education Centre. 2.1 The Centre Shall be governed by a Management Committee elected at the Annual General Meeting by the Cohort of members in attendance. The Management Committee shall consult with the department on all issues not provided for within the guidelines for Centres and act in accordance with all directives issued by the Department of Education and Skills (DES). 3.1 Membership shall be open to all teachers who are normally resident or teaching in the general catchment area of the Centre and who are qualified for employment in recognised first-level and further education facilities including those currently employed in areas such as outreach, Vocational Training and Adult Education. 3.2 A register of members shall be retained at the centre. All teachers working in schools within the catchment area of the West Cork Education Centre shall automatically qualify as members and be registered accordingly. 3.3 A teacher from outside the area served by the Centre may become a member at the discretion of the Management Committee. 3.4 Other persons may become members at the discretion of the Management Committee and with the agreement in principle of the Department. 3.5 Non-Members with the exception of the representatives of the DES and the In-Career Development Unit will not be admitted to meetings, including sub-committee meetings and the Annual General Meeting (AGM) except by invitation of Management Committee. 4.1 To provide training development and support for teachers and the wider school community, both in terms of meeting locally researched and identified teacher and school community needs and also through involvement in national in-service programmes. 4.2 To be a strategic resource within education in a range of national and other projects, programmes and initiatives as may be decided by the Minister, following consultation and in partnership with Centres, for implementation in education system from time to time. 4.3 To develop expertise in key areas as agreed by Centres in consultation and partnership with the Department and to share such throughout the Education Centre network and the education system in general. 4.4 To act as far as possible as a resource and meeting centre for the local school community. 4.5 To actively promote the Centres, full and part-time, so as to ensure that an effective network of Centres is established. 4.6 To observe the terms of circulars which may be issued by the Department to centres from time to time. 5.1 The Centre shall be managed by a Management Committee consisting of, where possible, a maximum of 7 members elected from the members present at the AGM. An additional 3 members may be co-opted by the Management Committee to give a maximum of 10. Due regard will be given to achieving balance in line with DES regulations with regard to the composition and structure of Education Centre Management Committees, as far as is reasonably possible. 5.2 The Officers of the Management Committee shall consist of a Chairperson, Vice-Chairperson, Honorary Treasurer and Secretary, elected annually by the Management Committee from amongst its members. 5.3 The Centre Director shall be an ex-officio member of the Management Committee. 5.4 Due regard shall be given to achieving gender balance across the Committee for more than eight years in any ten. 5.5 When officer positions become vacant during the year, these may be filled for the remainder of the year in the same manner as the original appointments were made. 5.6 The Management Committee shall be responsible for ensuring that the centre carries out its functions efficiently and effectively and must ensure Department of Education and Science guidelines, financial procedures and circulars are adhered to. Any breaches of guidelines shall be bought to the attention of the Department of Education and Science. 5.7 The Management Committee shall meet a minimum of six times a year between March 1st and the last day of February on the following year. 5.9 A quorum for meetings of the Management Committee shall be six members to include two officers. 5.10 In the event of the West Cork Education Centre not being able to constitute a Management Committee, an alternative structure may be proposed to the DES for sanction. 6.1 The Director will be chief executive of the centre and will be responsible to the Management Committee. The Director, in conjunction with the officers of the committee, will have responsibility for the day-to-day management of the Centre and its operations, in accordance with Department Guidelines, the Financial Procedures for the Centres and other Circulars as may be issued from time to time. 6.2 The Director of a full-time Centre shall be appointed by the Management Committee for a specified period of time following selection by open competition from among serving teachers, on a secondment basic and subject to contract and in accordance with the requirements and sanction of the Minister. 6.3 Where the Post of director is vacated for any reason a successor will be appointed in accordance with 6.2. 7.1 The AGM shall be held before the end of March each year. The meeting shall be open to all members who will be notified at least ten days in advance of the meeting. Voting rights at the A.G.M. shall be confined to individuals who have been members for at least three months in advance of the event. 7.2 General Policy, in line with DES guidelines, financial procedures and other relevant documentation shall be defined at the AGM. Long and short term plans for the development of the Centre in the current calendar year shall be considered. 7.3 Motions for the AGM, amendments to the constitution and items proposed for the agenda shall be invited for at least 30 days before the AGM. 7.4 Motions for the AGM shall be submitted in writing to the Secretary at least 14 days before the date of the AGM and must contain the name of the proposer and the seconder. Motions shall require a simple majority of those present and voting. In the event of a tied vote the chairperson shall have a casting vote. 7.5 Amendments to the Constitution shall need a two-thirds majority of those present voting. A copy of the Constitutional amendments and other procedures adopted by the AGM will be submitted to DES for approval within three months of them being adopted. 7.6 Notice of the holding of the AGM, including an agenda and the time and venue, shall be communicated, through schools where possible, to all members to reach them at the least ten days in advance of the meeting. A notice indicating the time and venue will be placed in the local weekly paper at least ten days in advance of the meeting and a copy of the notice and the agenda shall be sent to the DES at least ten days in advance of the meeting. 7.7 Minutes of the A.G.M. shall be recorded and an attendance record shall be retained by the Centre. 7.8 Representatives of the ICDU of the Department of Education and Skills shall be invited to the AGM as observers, and local educational bodies or groups may also be invited to attend. 8. Functions of the A.G.M. 8.1 To receive the annual report of the Centre, prepared by the director for the year ending on the proceeding 31stDecember. 8.4 To elect, from teachers members present, teacher members of the Management Committee in accordance with agreed procedures. 9. Forms of the A.G.M. 10.2 Centre funds shall be retained in a bank account to which all money received will be lodged and from which all payments shall be made. 10.3 All cheques must be crossed and signed by any two of three designated signatories. These will be the Chairperson, Treasurer and the Director. 10.4 An audited set of accounts will be furnished to the department at the end of the financial year. 10.5 Members at the AGM shall be given a copy of the Centre’s financial statement. The Constitution was amended and adopted at the AGM 2014 held on the 3rd March 2015. • West Cork Education Centre was established as a Full-Time Education Centre in 2002 and is a member of the ATECI. You have the right to obtain certain environmental information from West Cork Education Centre under the European Communities (Access to Information on the Environment) Regulations 2007 (as amended). The AIE legislation sets out the procedures for public access to information relating to the environment held by public bodies. You will receive a response within one month from the date on which the request is received by the West Cork Education Centre FOI Unit. If you would like to appeal a decision made by the West Cork Education Centre FOI Unit, you can do so by sending a request in writing asking for an internal review of the decision. Please address your review request to: FOI Officer, West Cork Education Centre, The Square, Dunmanway, Co Cork. If after the internal review, you are unsatisfied with the decision and would like to make a complaint or appeal the decision again, you can do so by contacting the Office of the Commissioner for Environmental Information (“CEI”). You must appeal or make a complaint to the CEI within one month of getting the reviewed decision from West Cork Education Centre.